When we met Barbara and Lorenzo, the first thing we noticed was the extraordinary complicity in their gazes. Venezuelan the bride, Italian the groom: the passion could not but hover everywhere. Immediately, a wonderful relationship was created with them. Barbara, a Balenciaga designer, wanted to link her 30th birthday with her wedding: two important milestones deserved three days of celebrations! 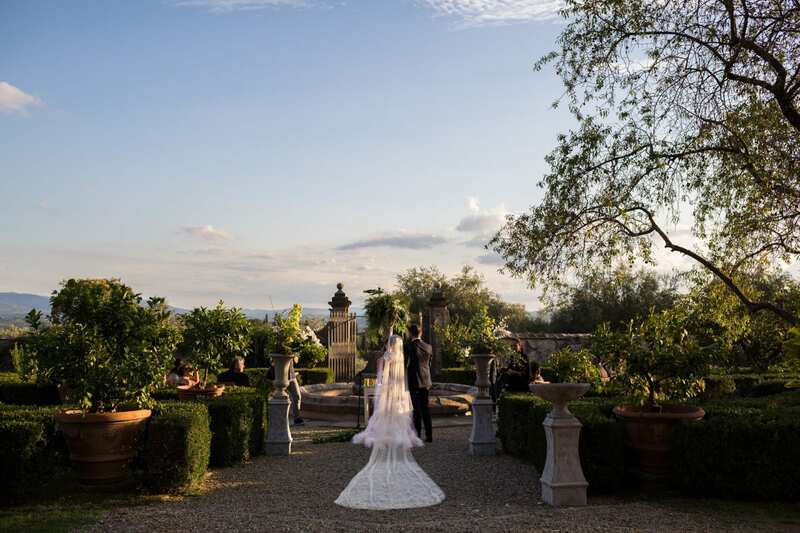 In fact, on her birthday, they officially got married in the famous Red Hall of Florence Municipality: a few close friends, a scenic crown of flowers and several touching moments. 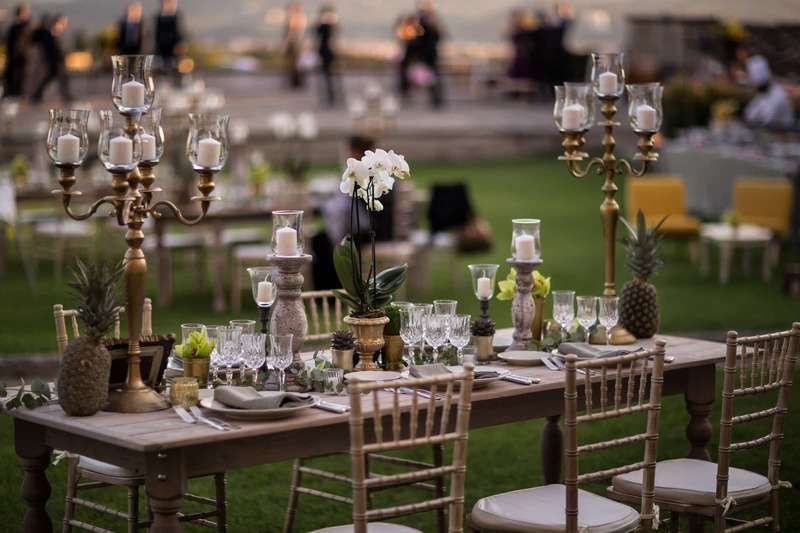 The toast was made at the Golden View Open Bar, a trendy venue on Ponte Vecchio, while in the evening the party took place in the court of the Fattoria di Maiano, where both the couple and most of the guests were hosted. They asked for an intentionally rustic pizza party, to differentiate that evening from the big event of the day after. 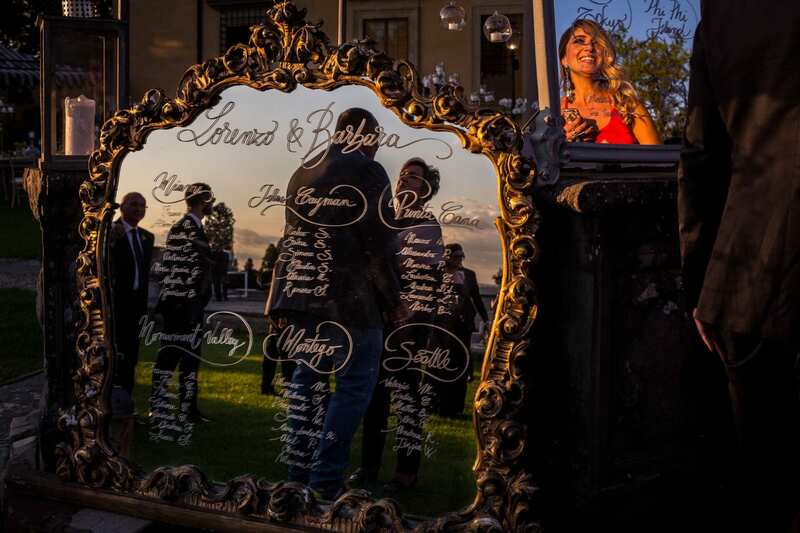 The wedding day started with a symbolic ceremony in the Italian garden of Villa di Maiano, at the presence of guests from all over the world. 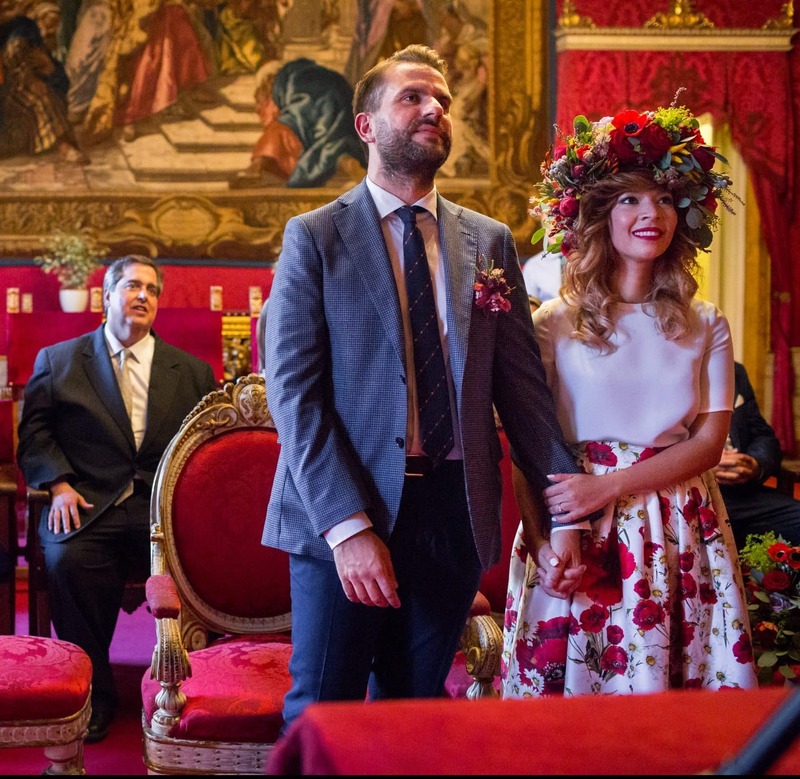 Barbara looked like a princess of yesteryear with cascading bouquet, crown and a spectacular feather dress designed by herself and made by Anna Fucà. 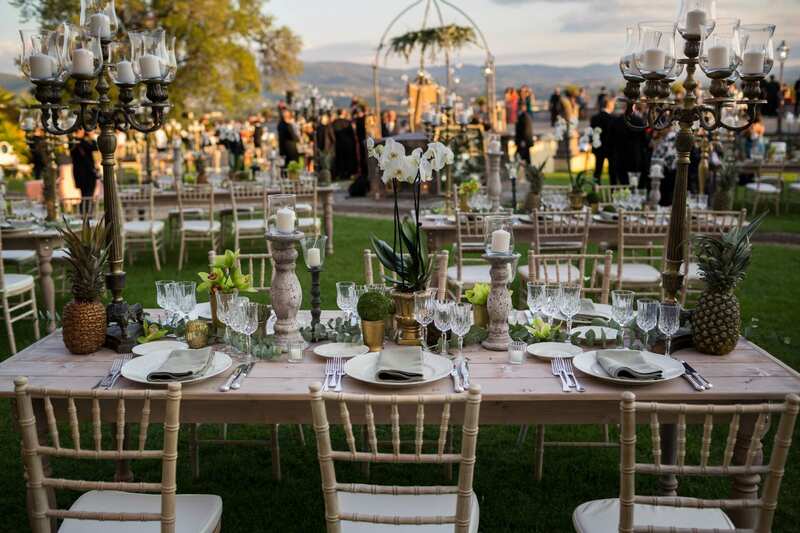 The talented Magic Bus entertained guests during the aperitif on the terrace, while the dinner buffet took place in the garden in front of the villa on the Latin-American notes played by La Descarga Orchestra. White, pink blush, sage green and gold characterized the palette and the refined vintage setting with a tropical touch, to recall Venezuela. Everything was in perfect harmony with the evocative venue. 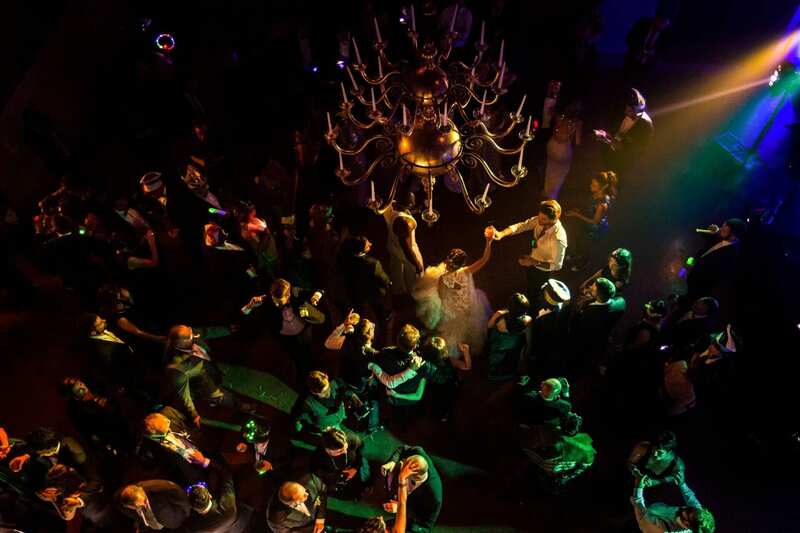 At midnight the disco began in the elegant Sala degli Arazzi and from 01.00am started the hora loca, following the South American tradition: talented Brazilian dancers performed among the guests, involving them in wild dances. Lastly, a pizza-based snack was served to say goodnight to the guests. 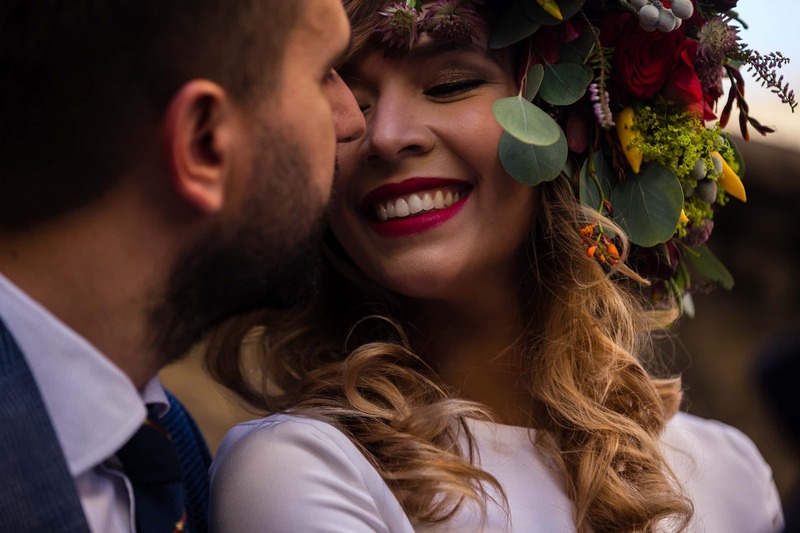 The next day, the newlyweds greeted their loved ones with a brunch at the Fattoria: we are sure that none of them will ever forget this wedding!